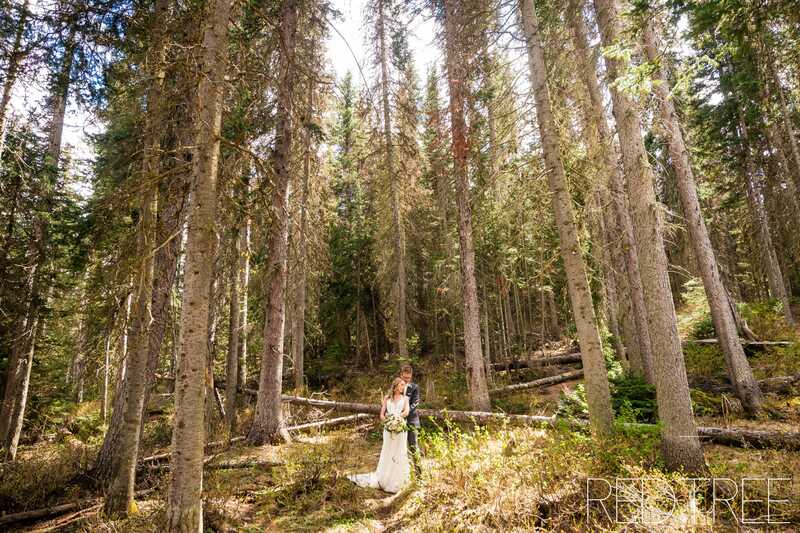 On our first adventure day trip date, Ty took me to Fernie to go snowshoeing. 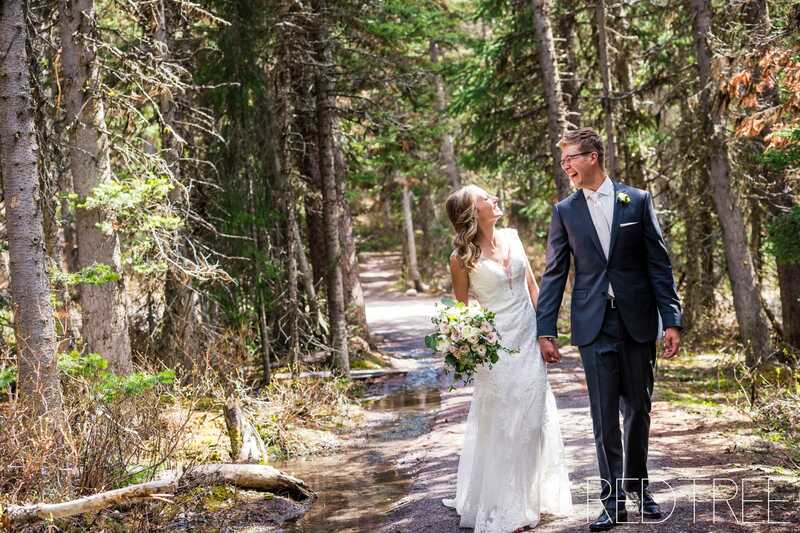 The day he proposed he took me on the same trial just over a year later and at the top he had brought a stove with and cooked some soup for us. 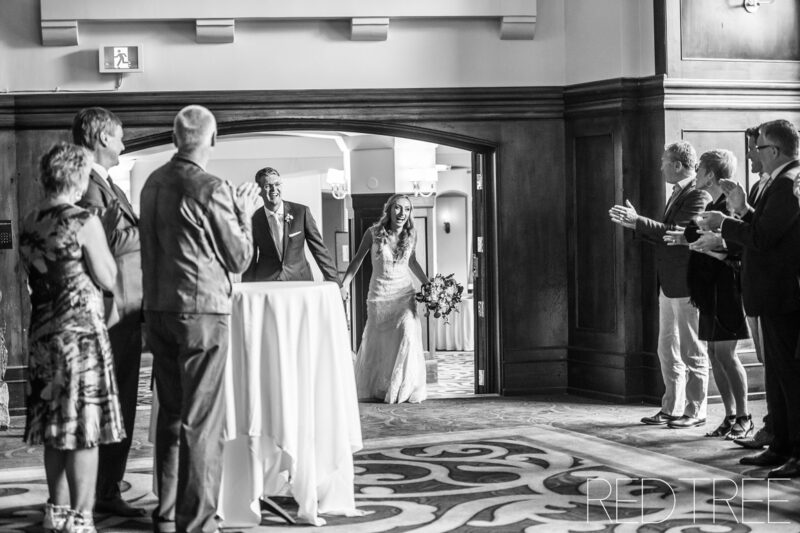 He even brought wine! 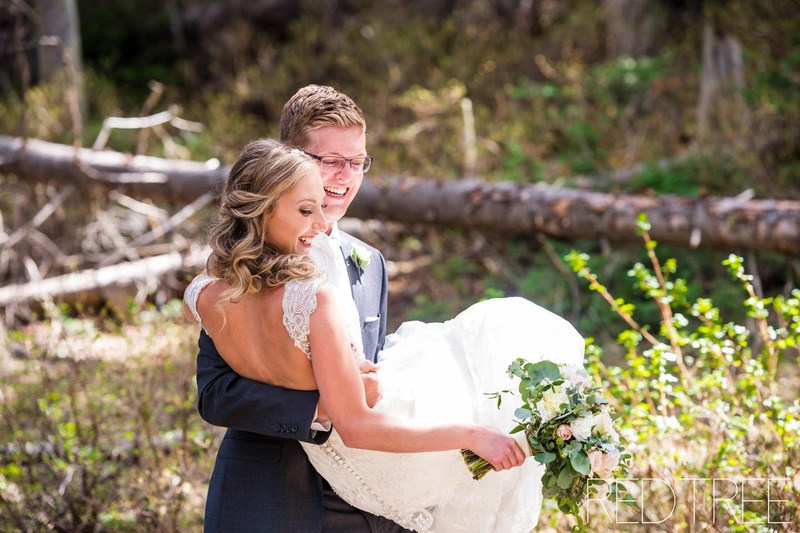 After lunch we were standing and looking through the valley in the mountains and he got down on one knee and I was so excited I just tackled him haha. 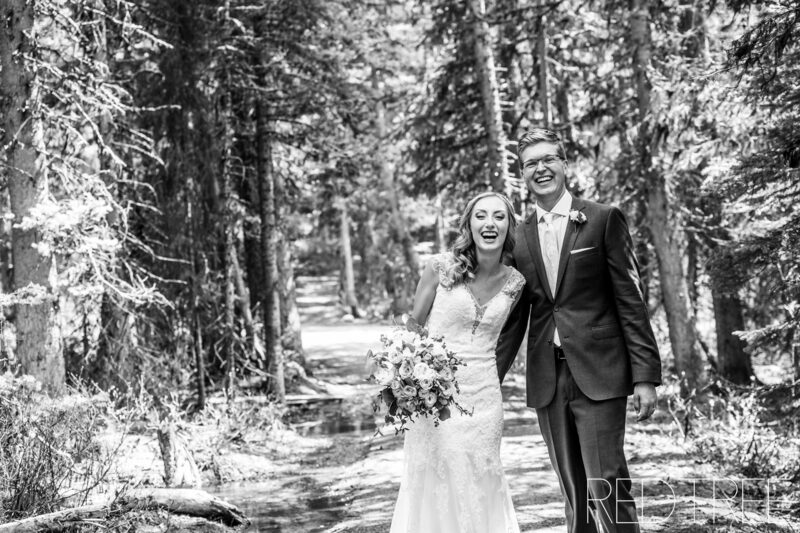 We literally ran down the mountain because we were just so excited! 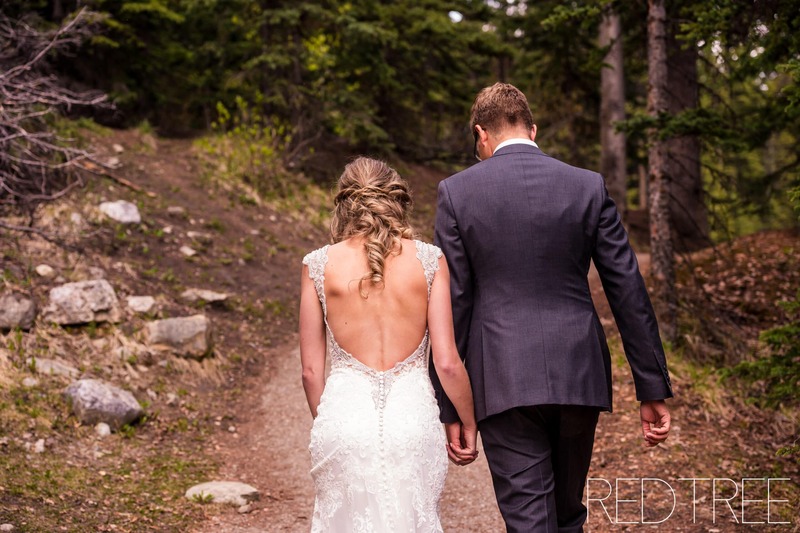 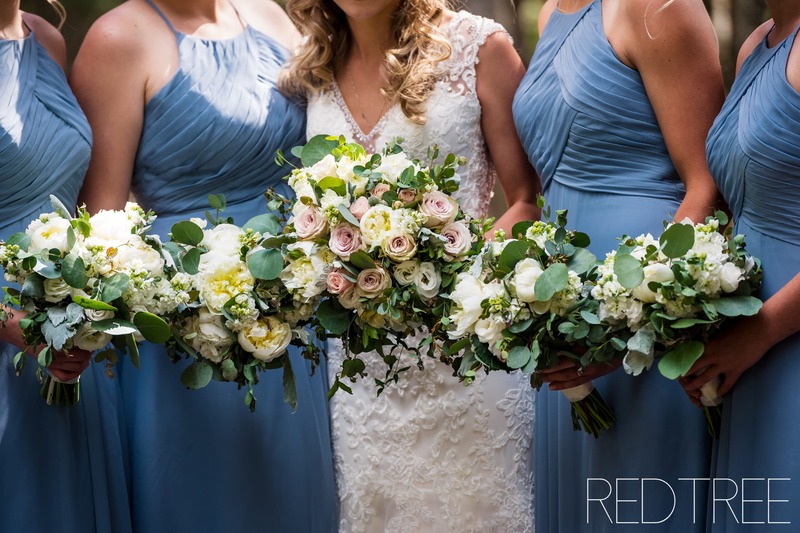 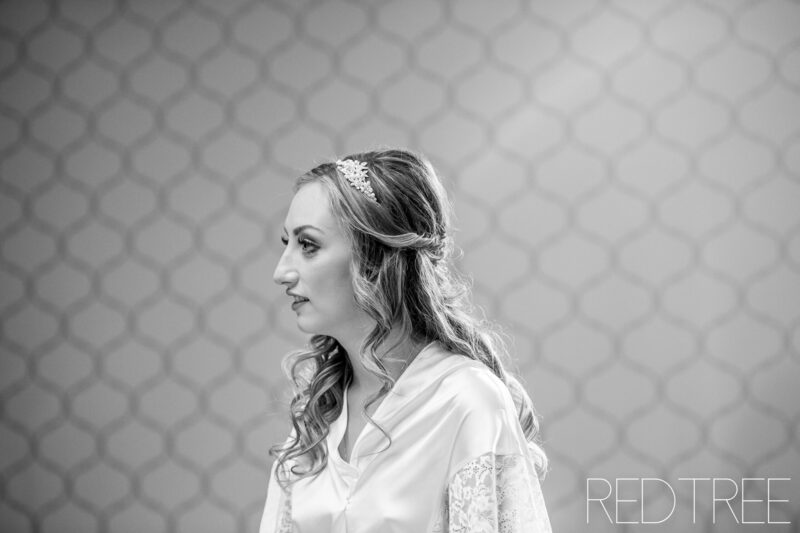 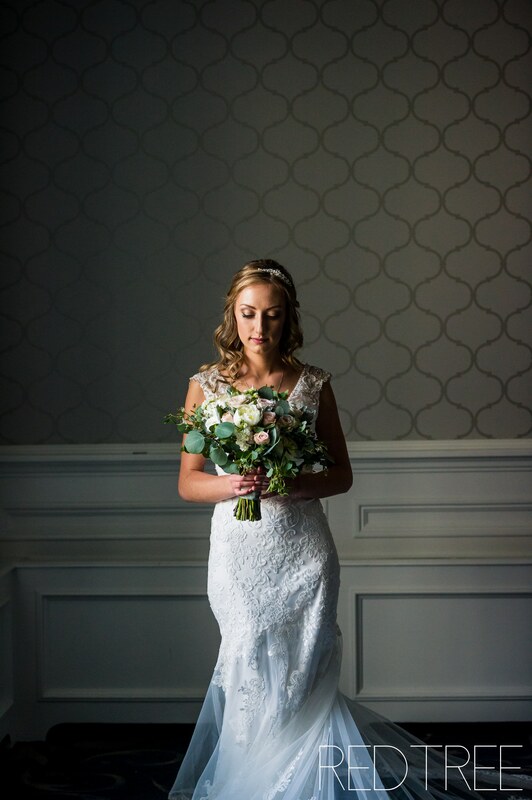 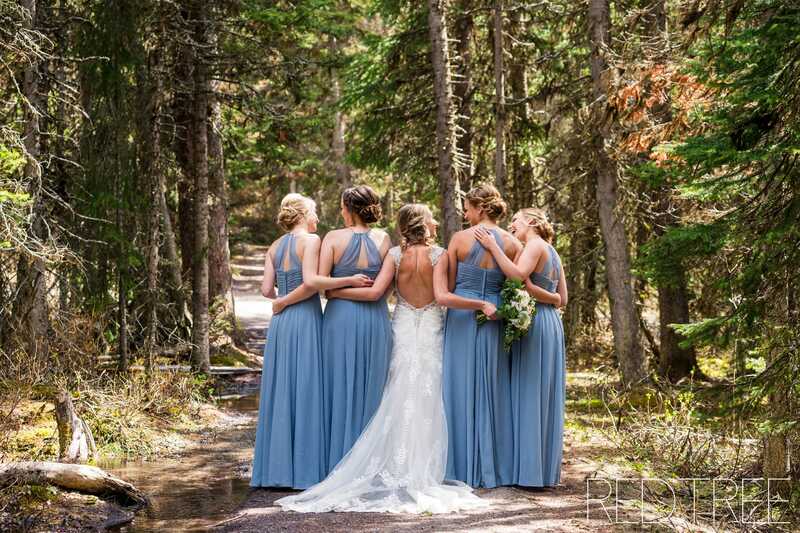 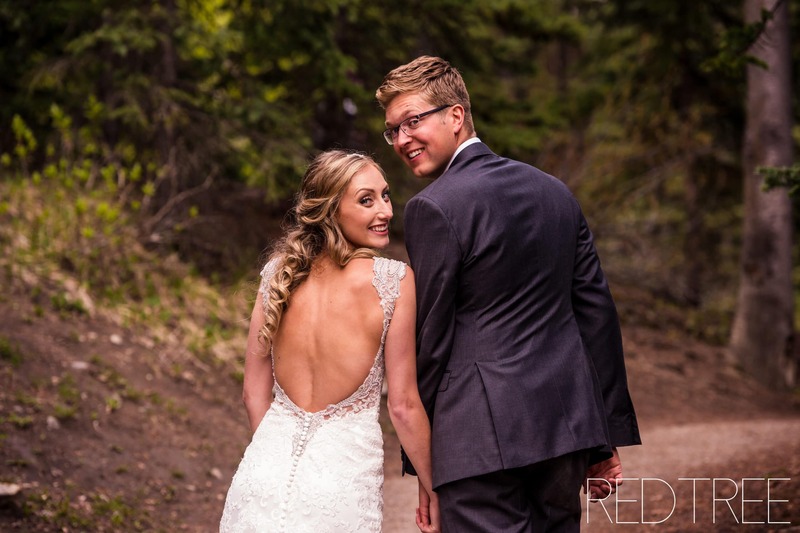 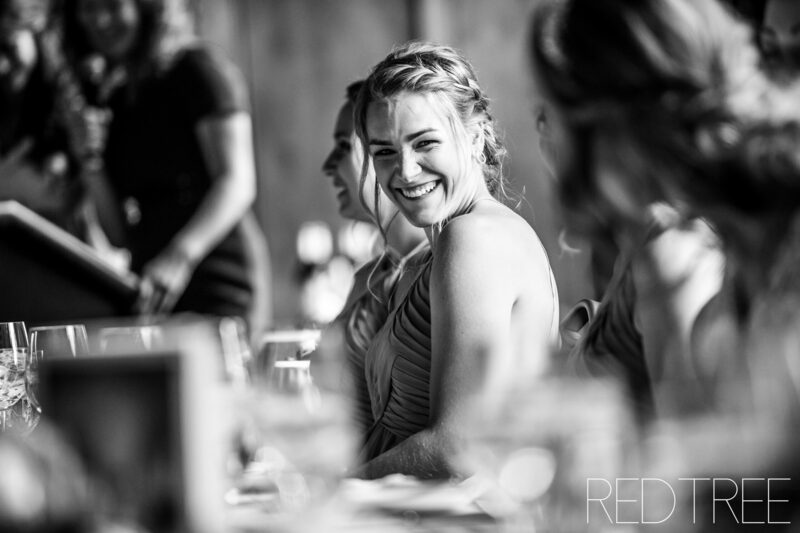 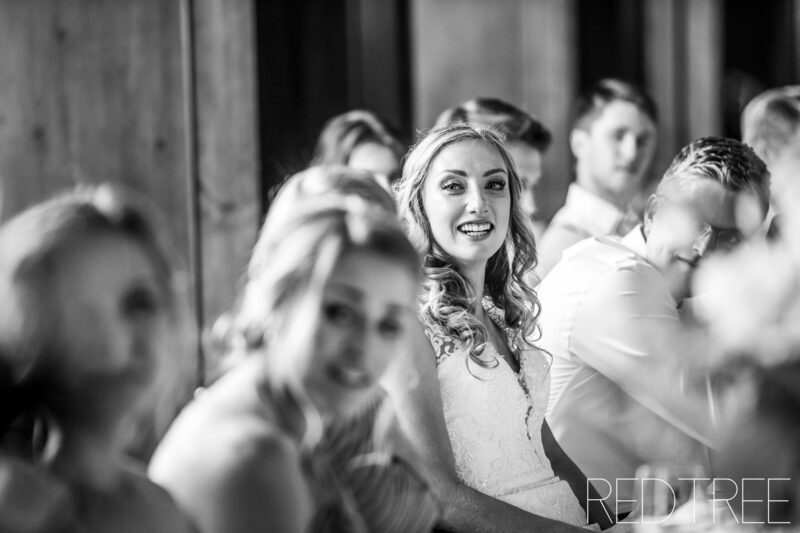 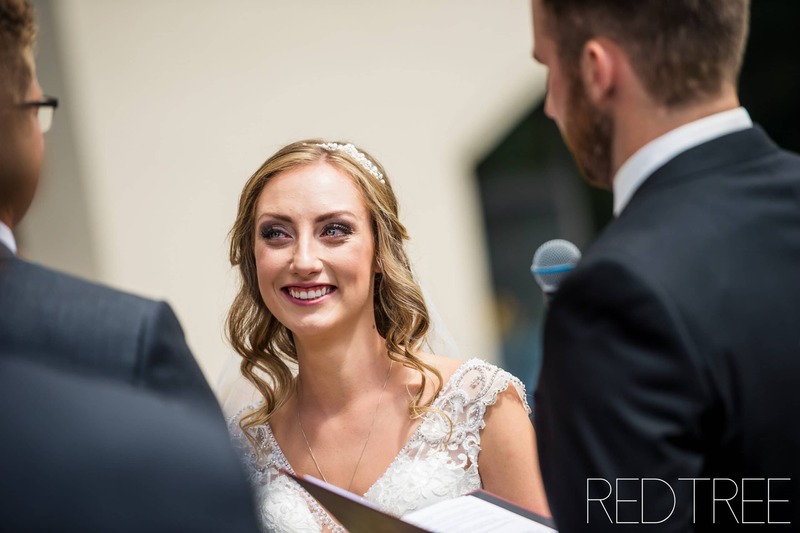 Bride’s Dress: Ethos, Calgary by Madison Couture. 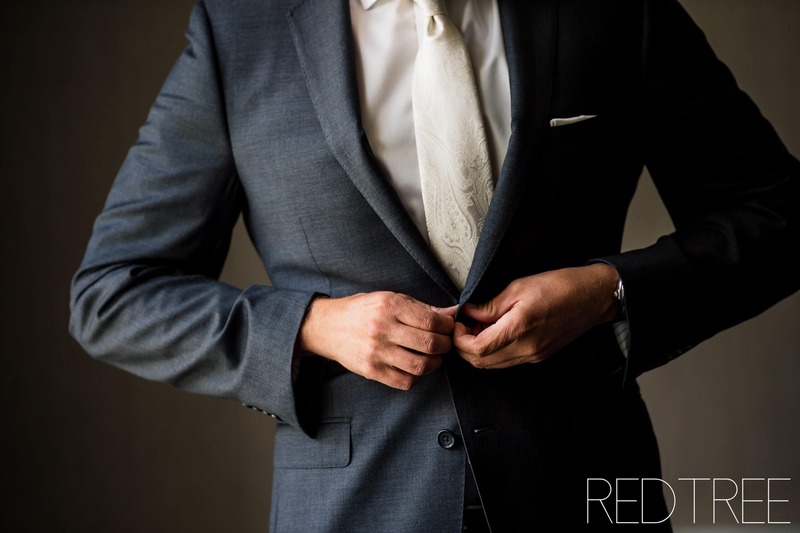 Grooms outfit: Gentleman 3, Lethbridge. 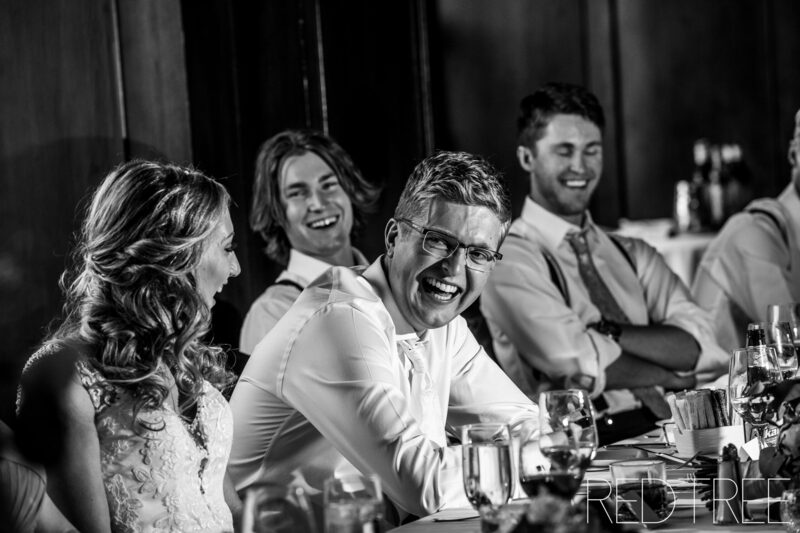 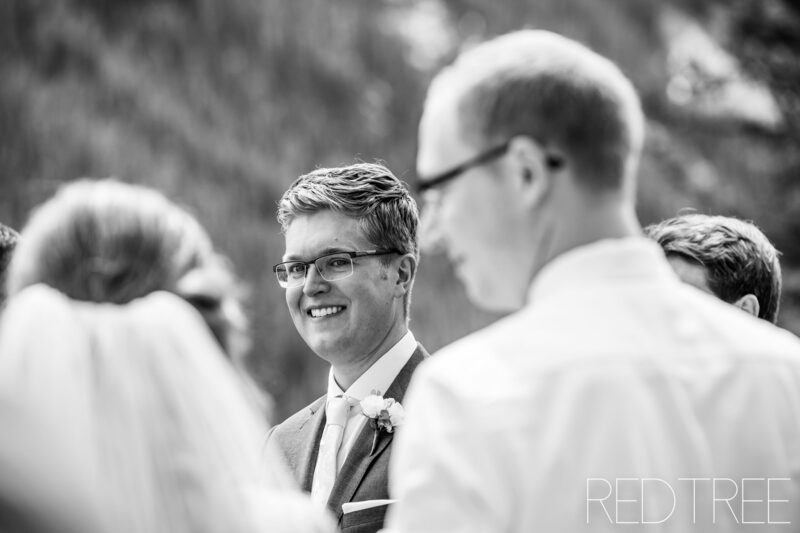 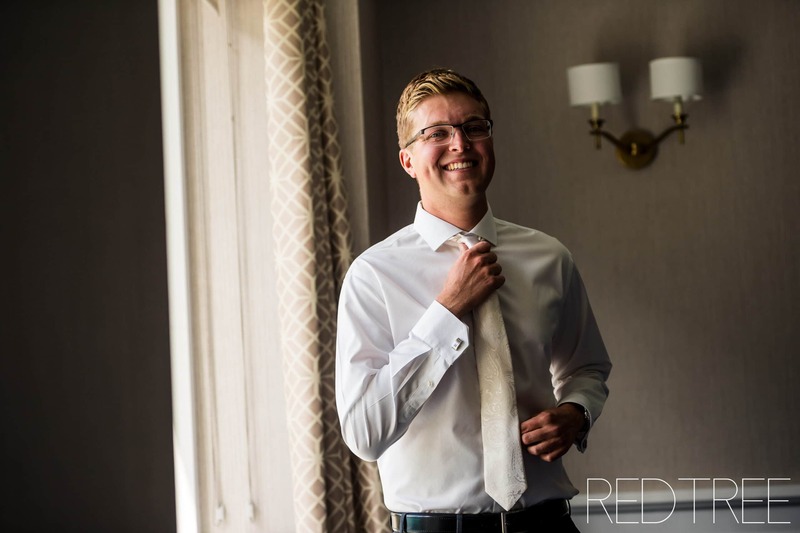 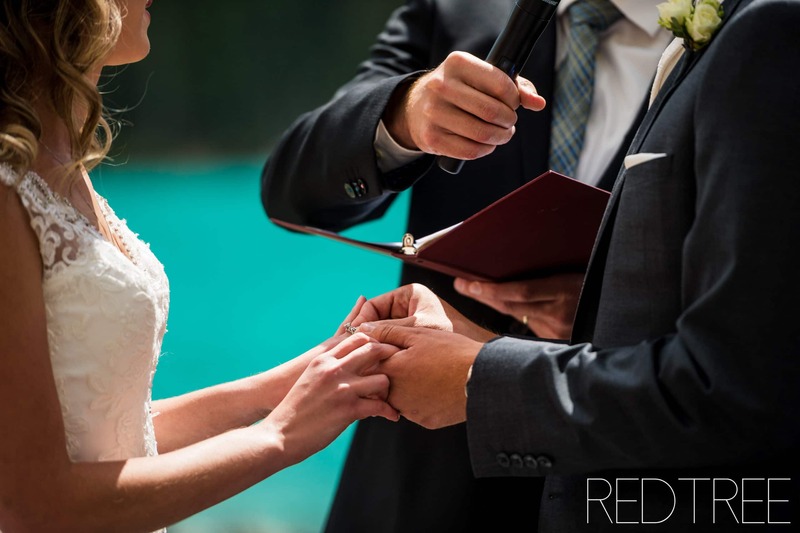 Officiant: Luke Watson from Efree, Lethbridge. 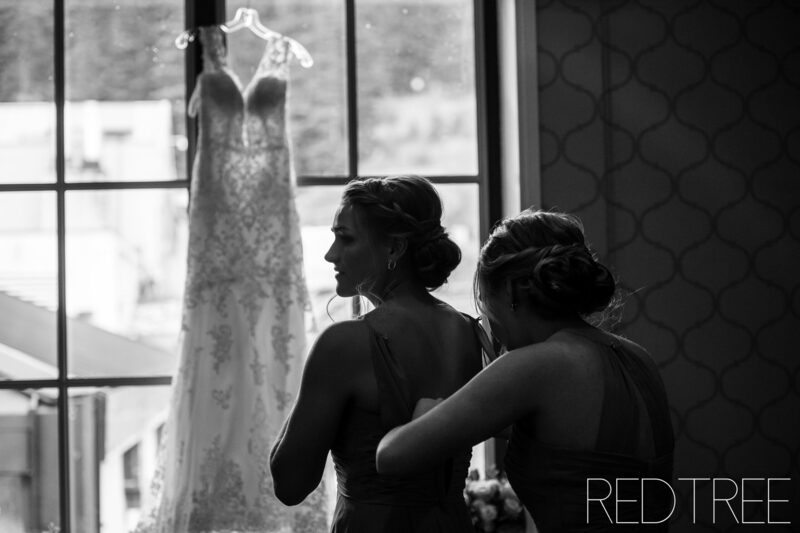 The morning began at the Pipestone room with Emily and her beautiful bridesmaids. 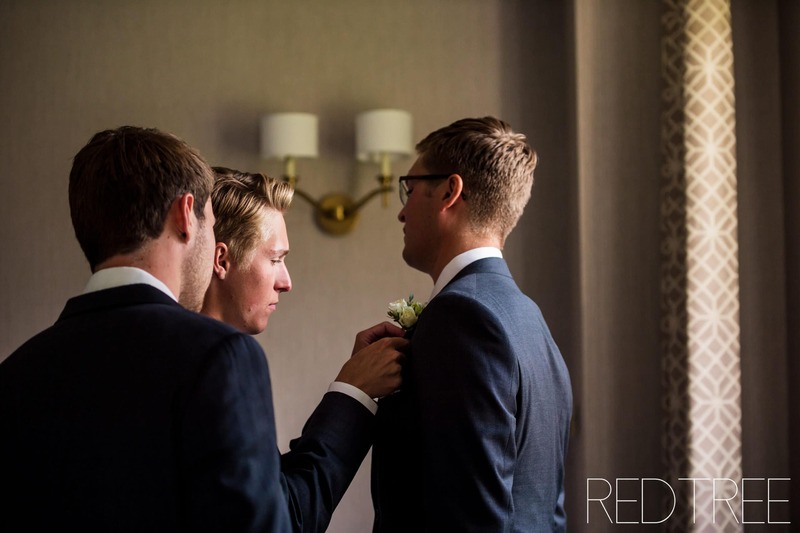 After I was finished photographing them, we made our way over to the Lafront room next to the Victoria Terrace for the groom getting ready photos. 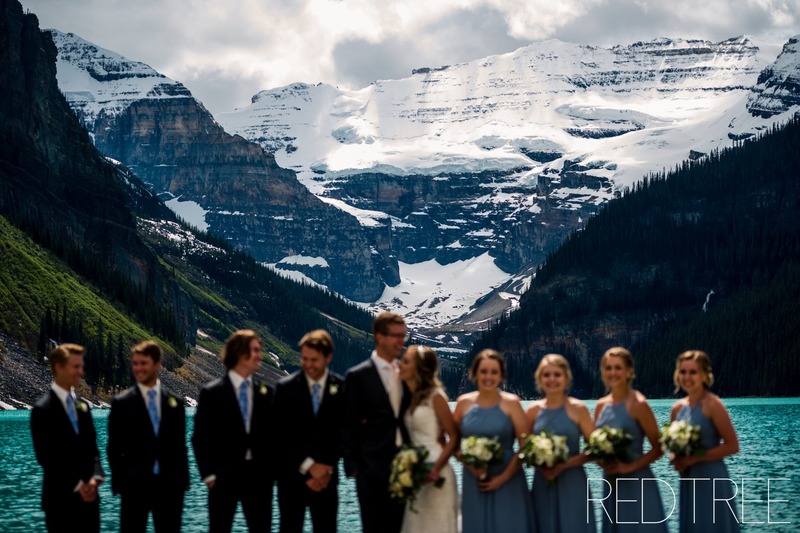 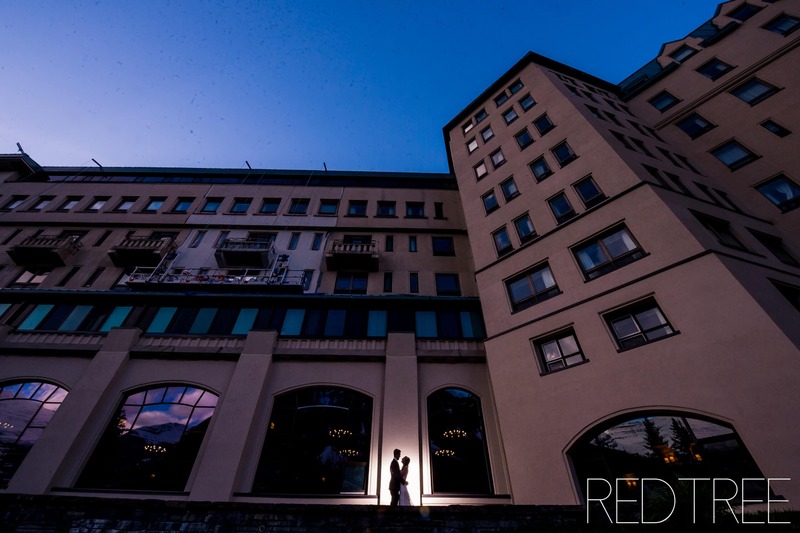 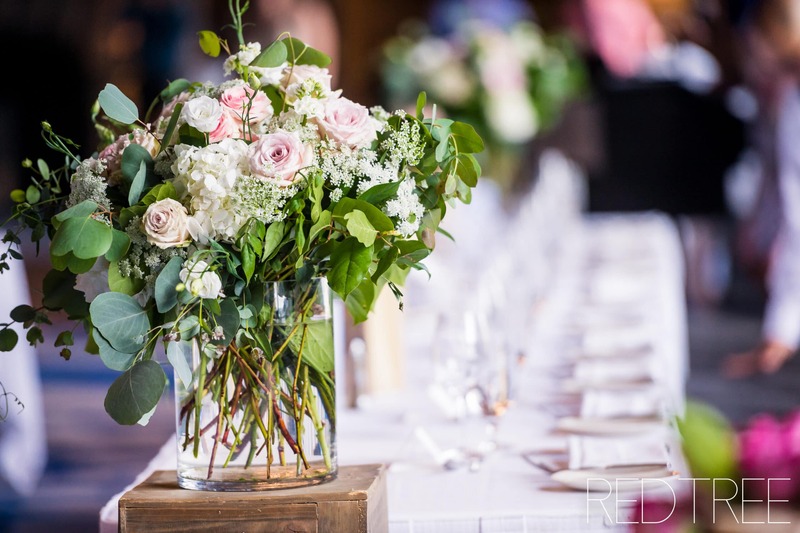 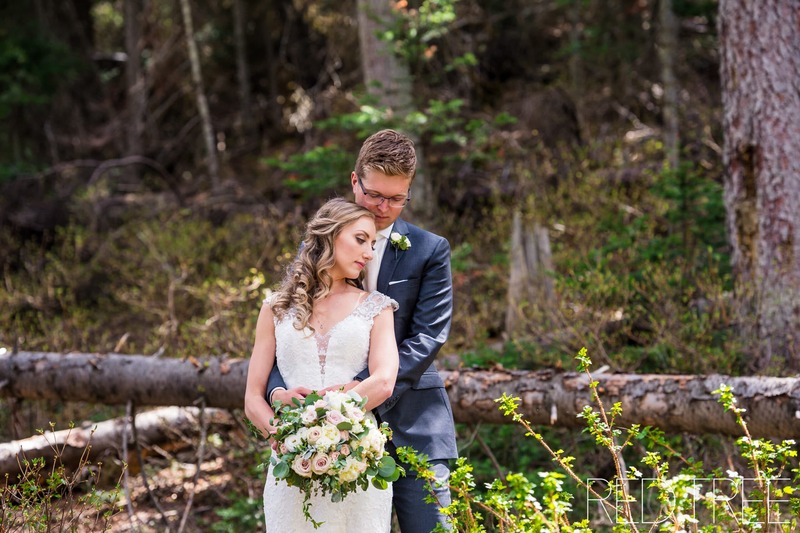 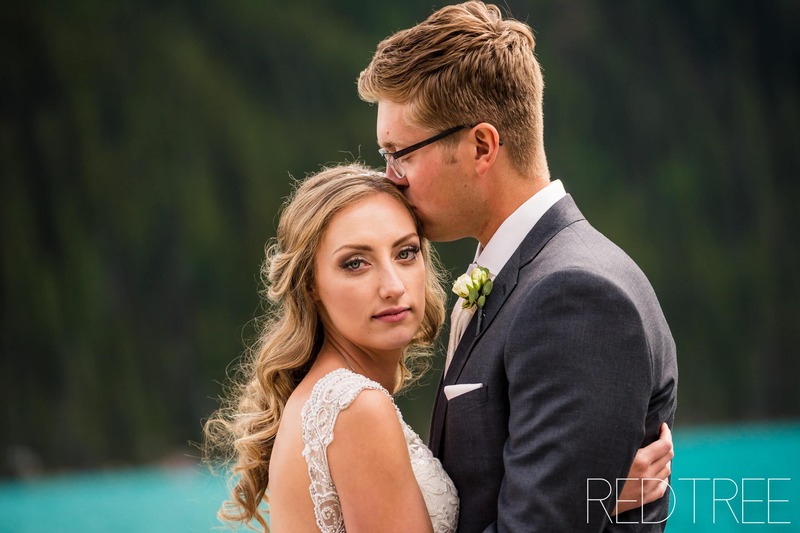 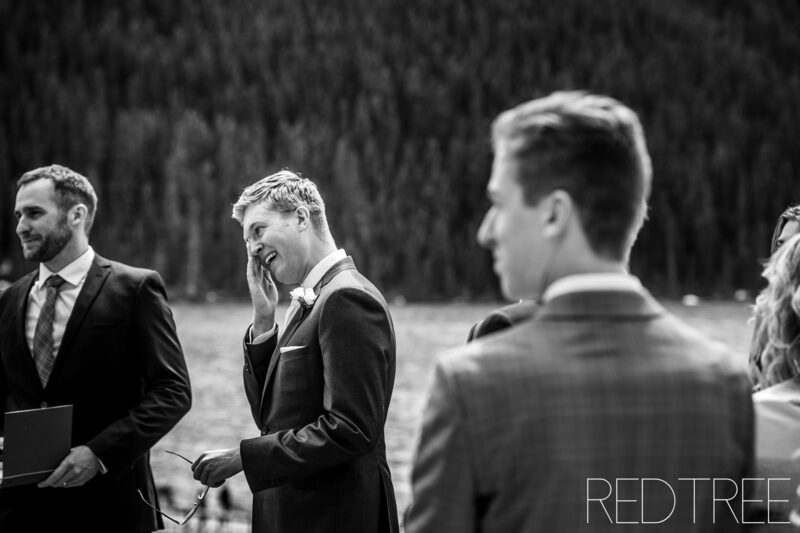 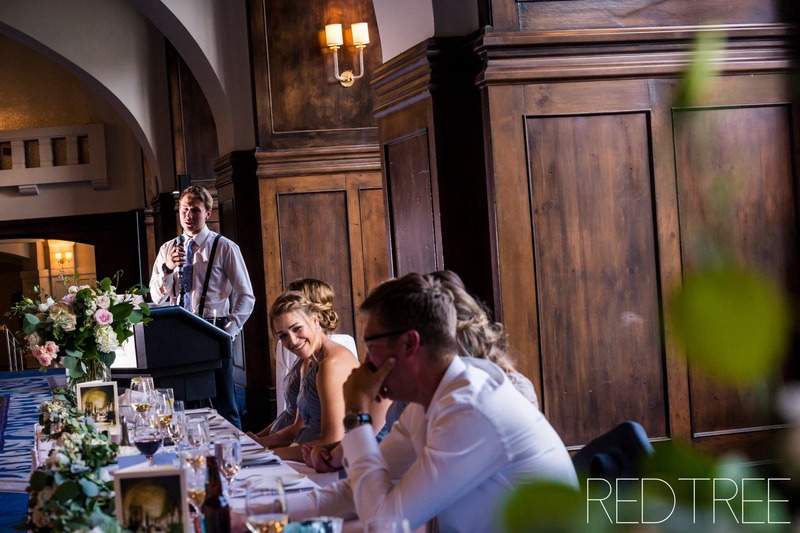 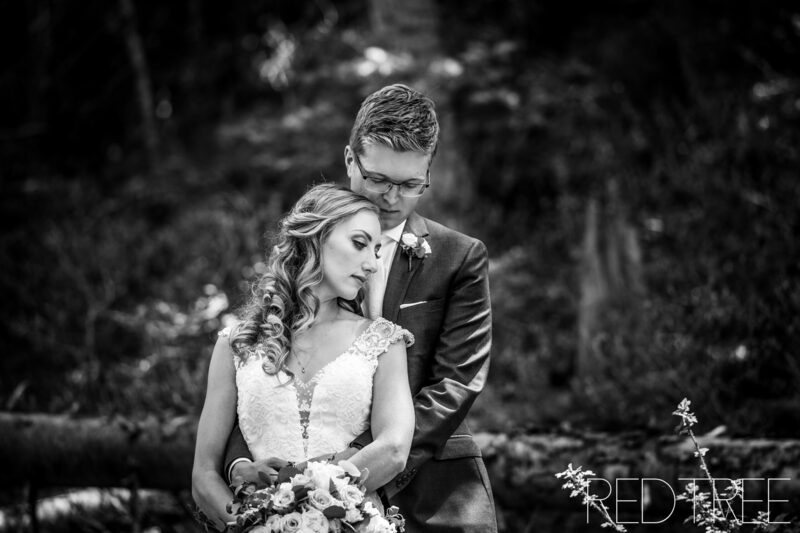 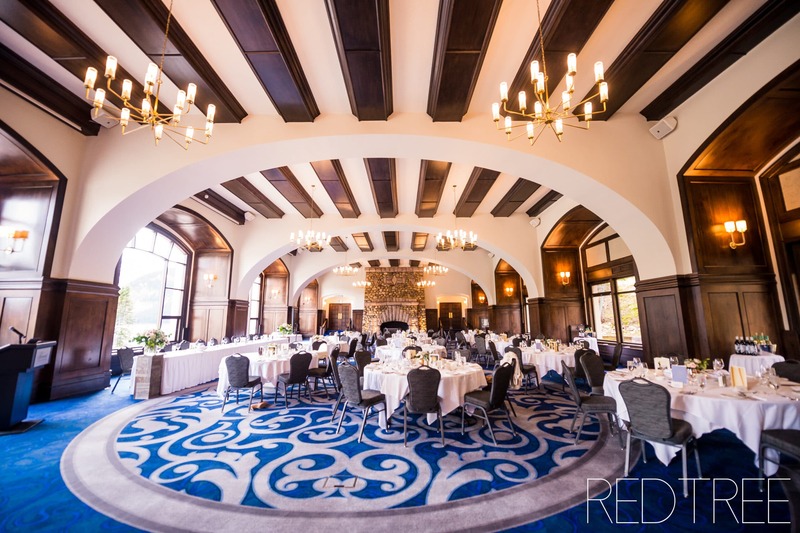 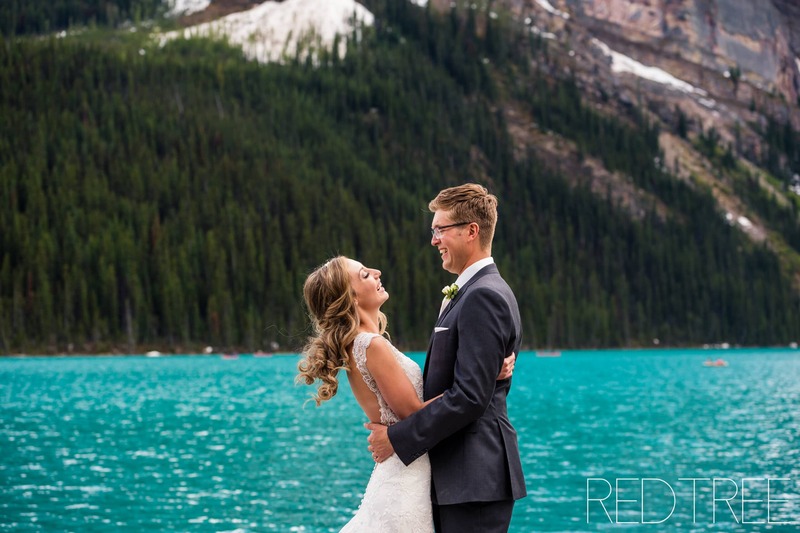 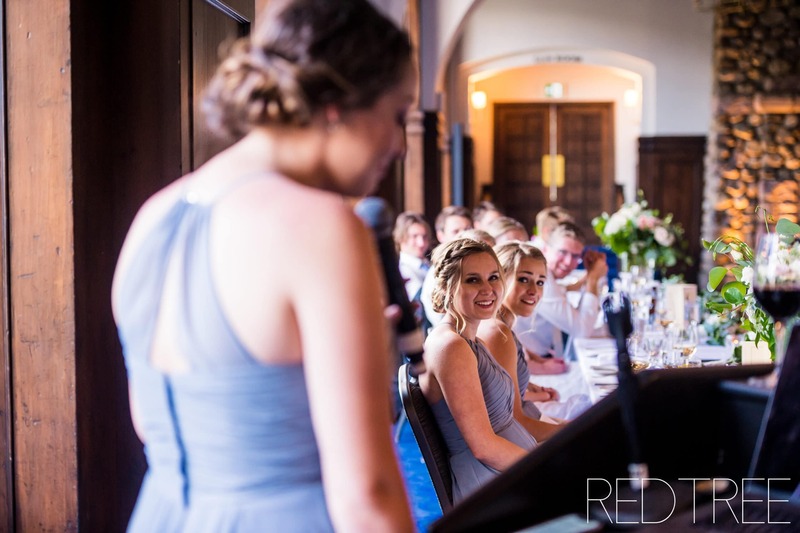 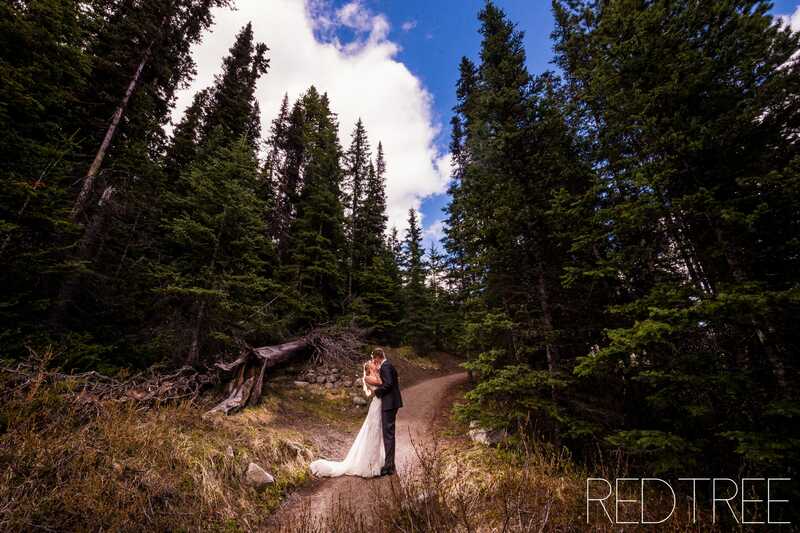 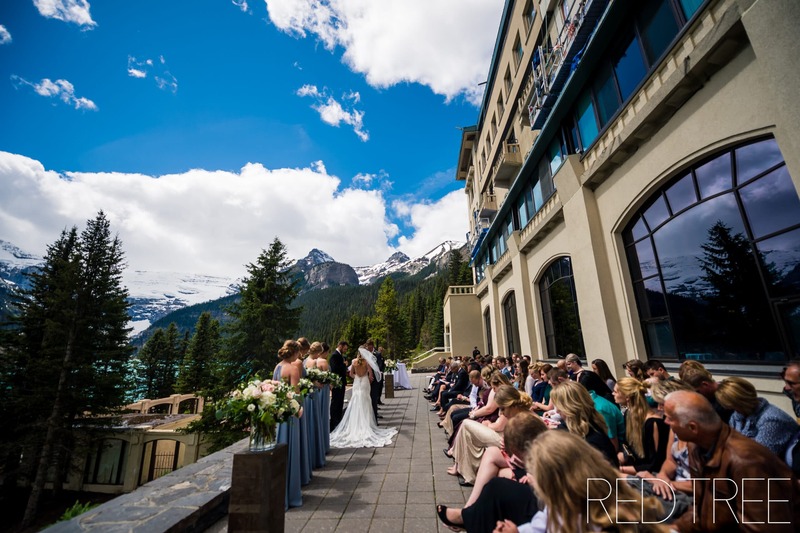 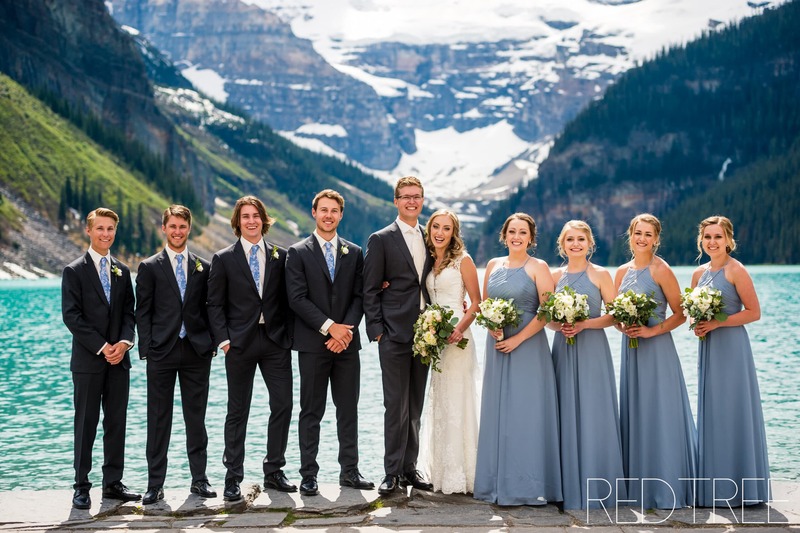 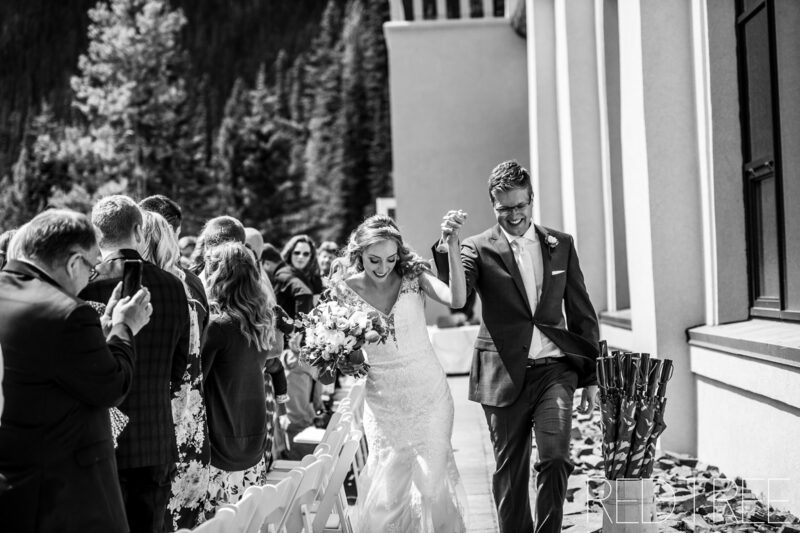 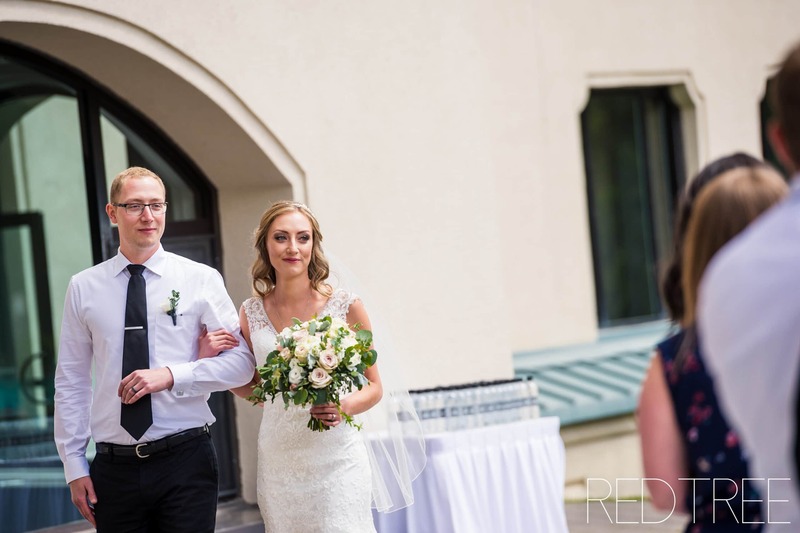 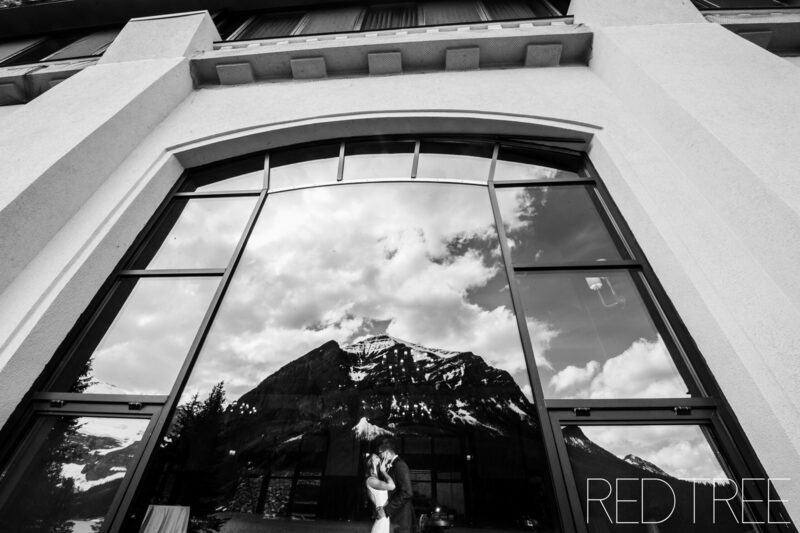 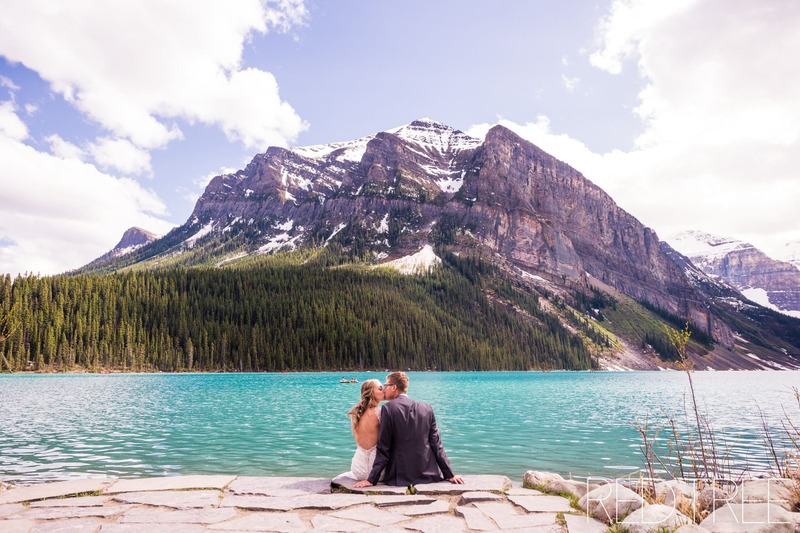 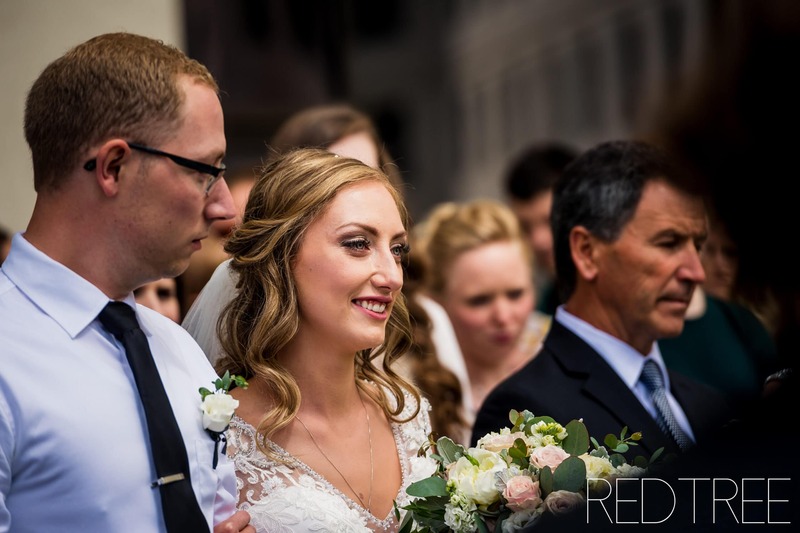 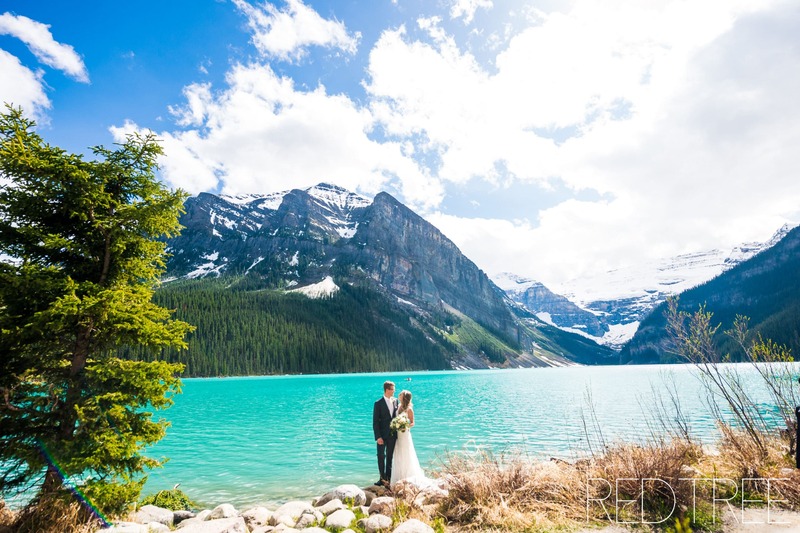 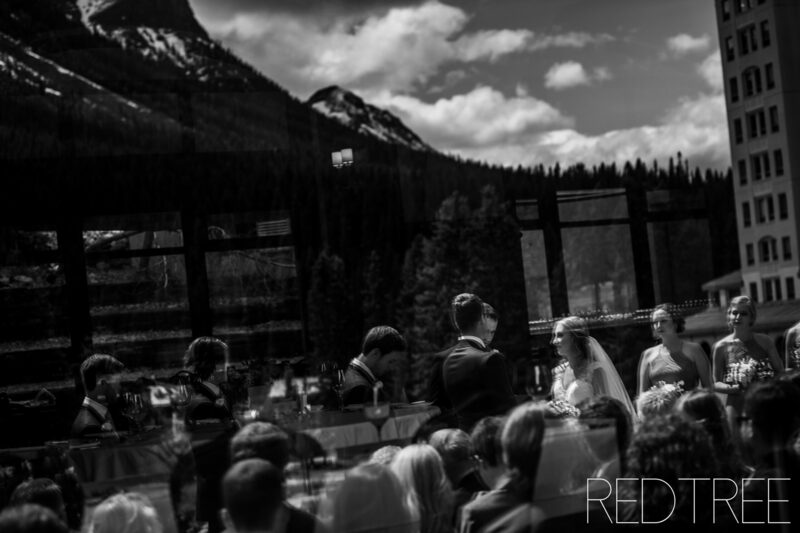 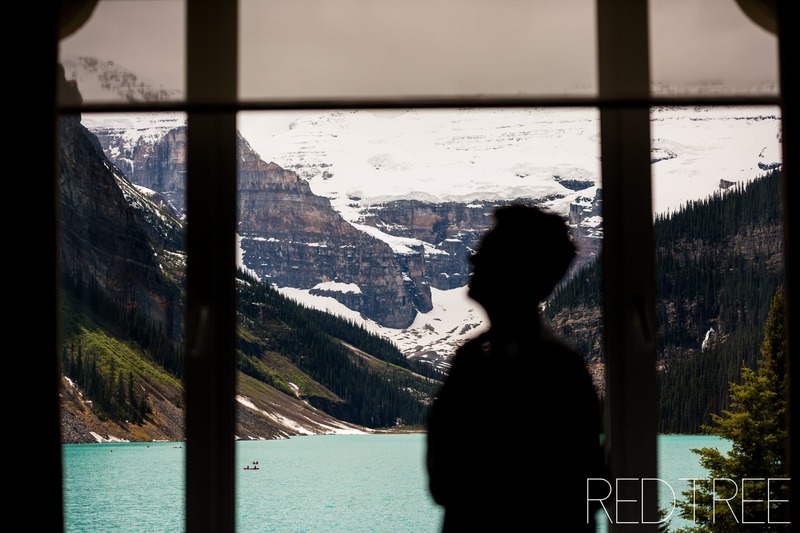 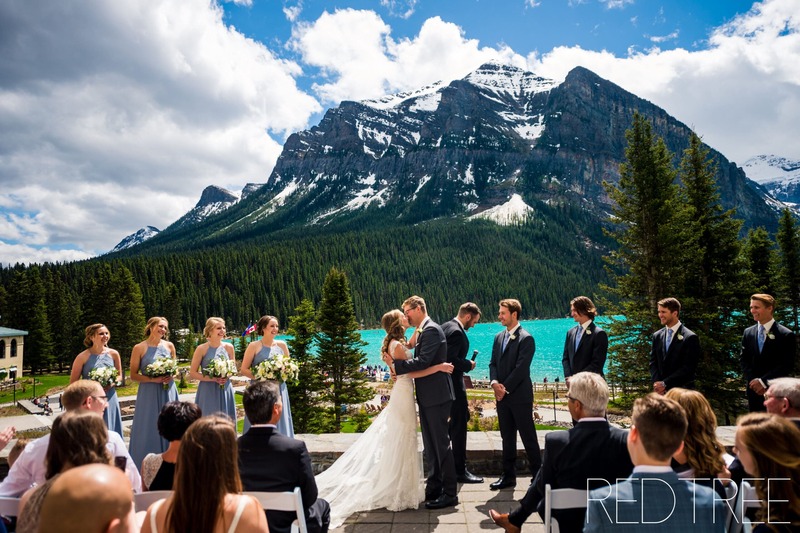 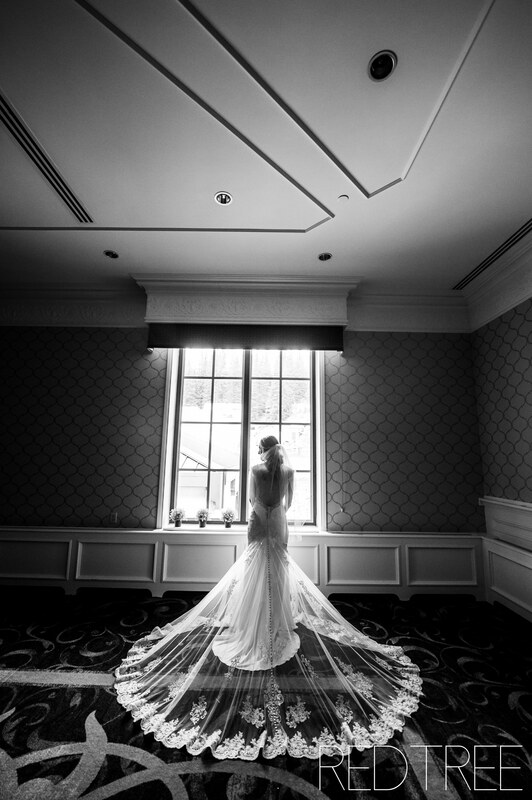 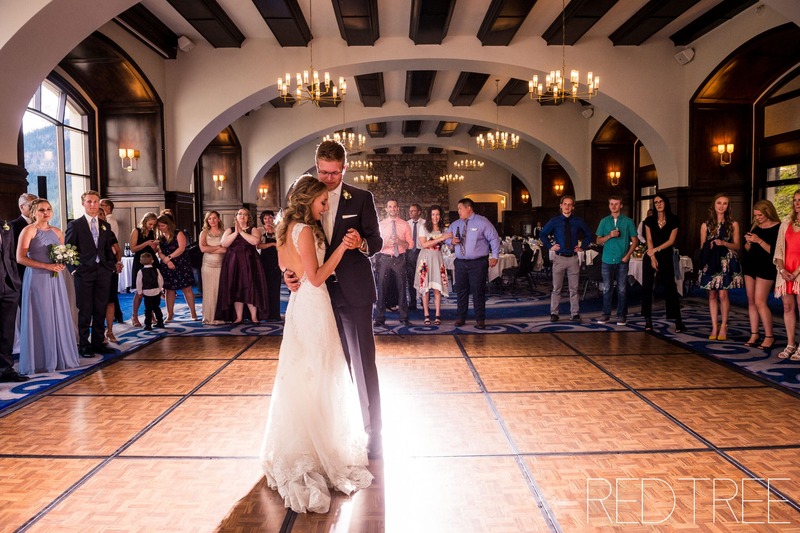 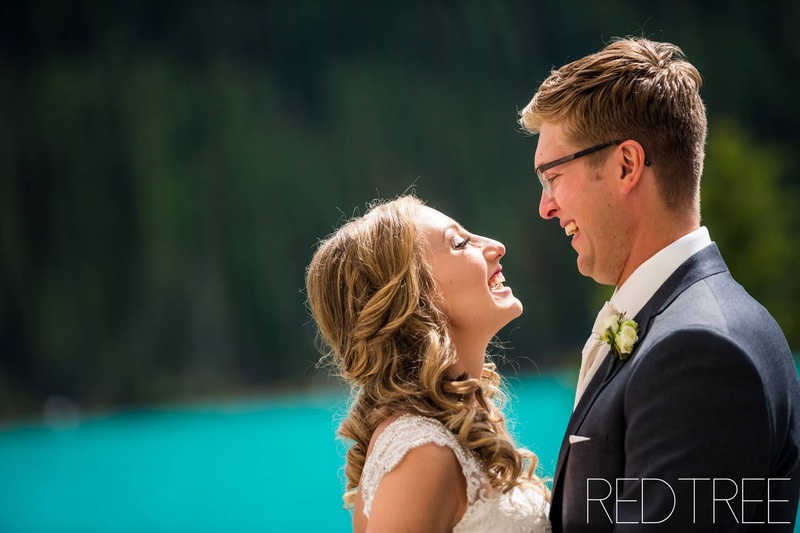 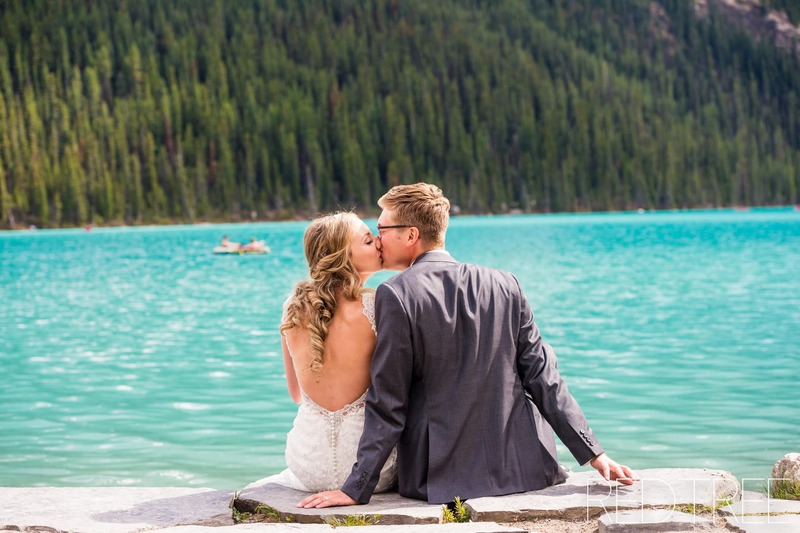 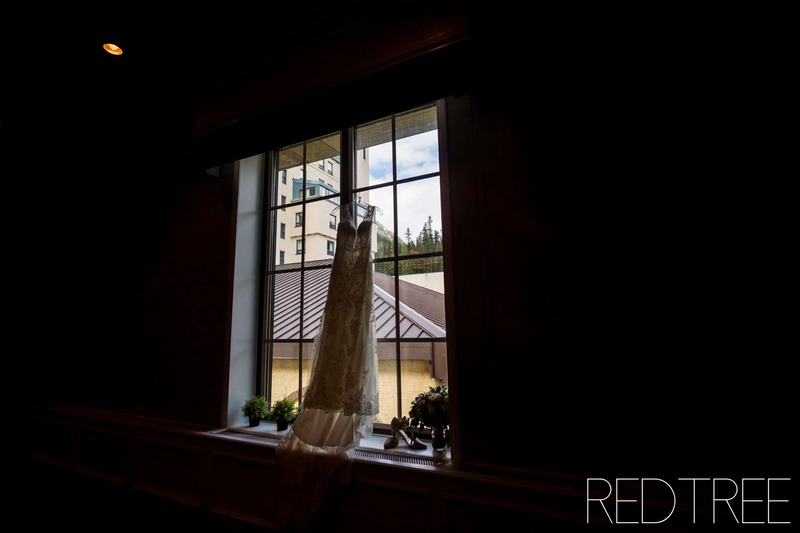 Tyrell & Emily’s emotional wedding took place on the Victoria Terrace, overlooking Lake Louise. 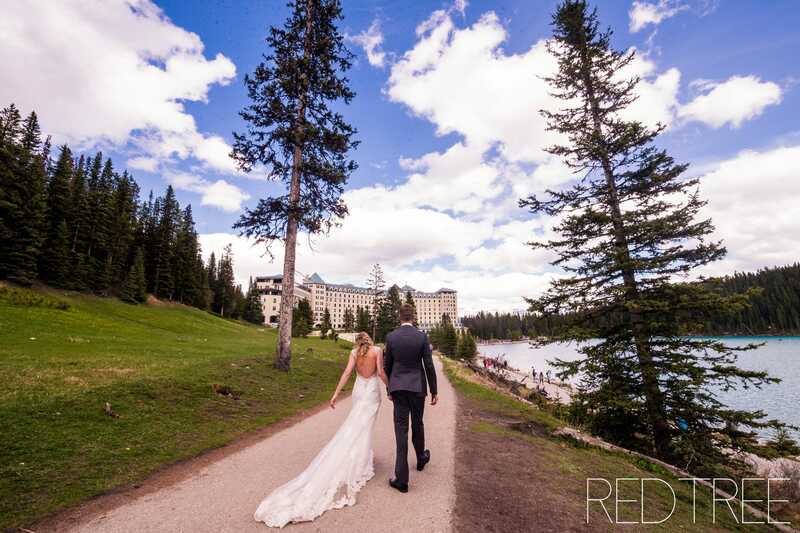 After the ceremony, we walked around the lake area for some formals with the bridal party and bride & groom. 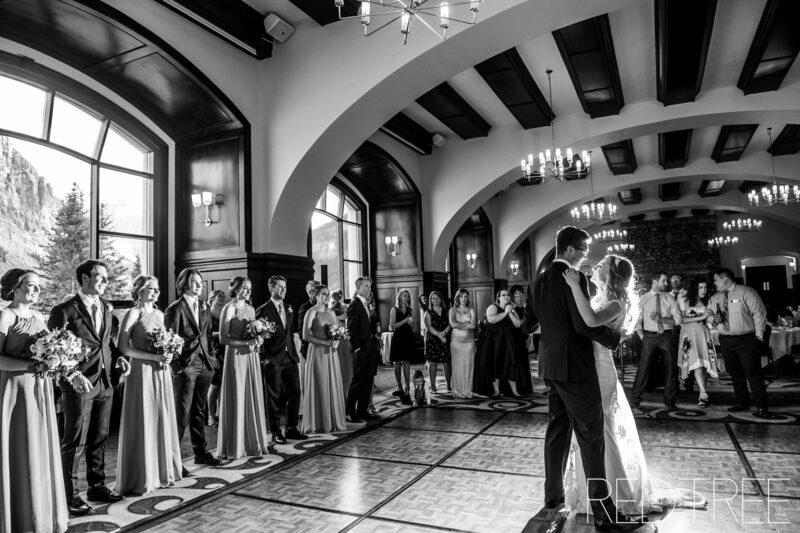 The reception took place in the Victoria Ballroom.